These sleeping beauty turquoise rings are beautifully made with 925 sterling silver. 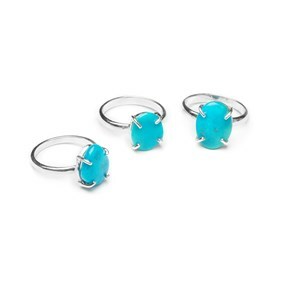 Each of the 4 claws securely holds a piece of sleeping beauty turquoise which is set on a D-shape ring shank. 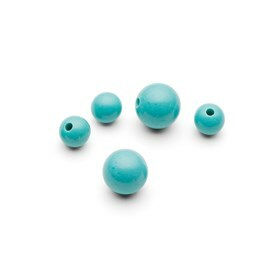 Each ring is stamped 925 (sterling silver) and polished to a high shine finish. 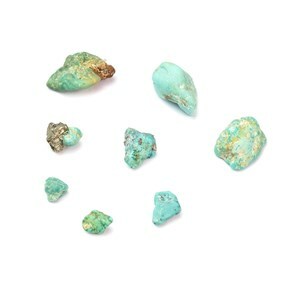 Sleeping Beauty turquoise is mined in Arizona and has an exceptional vibrant blue colour. The mountain from which it is mined resembles a sleeping woman with crossed arms hence giving the gemstone its name. 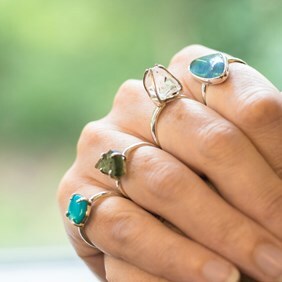 Each stone is naturally different in shape, size and colour but they are all equally beautiful and therefore you will receive one from a selection.